* Students of ST1 are involved in this eTwinning project during the school year 2014-15. Students of ST1 completed the introductory activity to their project in which they had to present themselves to their e-friends. 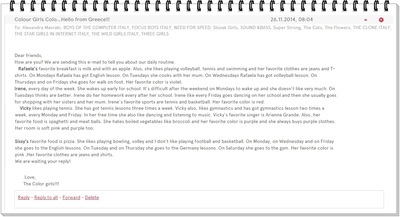 They used the Word Processor for their descriptions and they also recorded themselves using the Voki ﻿software﻿. Check out their work below. 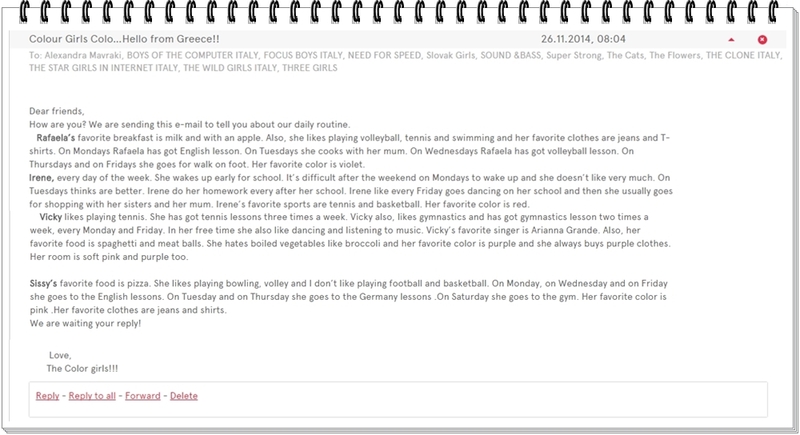 For the second activity of their project students of ST1 exchanged emails with their e-friends in which they talked about their likes, dislikes, preferences and daily routine. You can catch up with the children's work below.